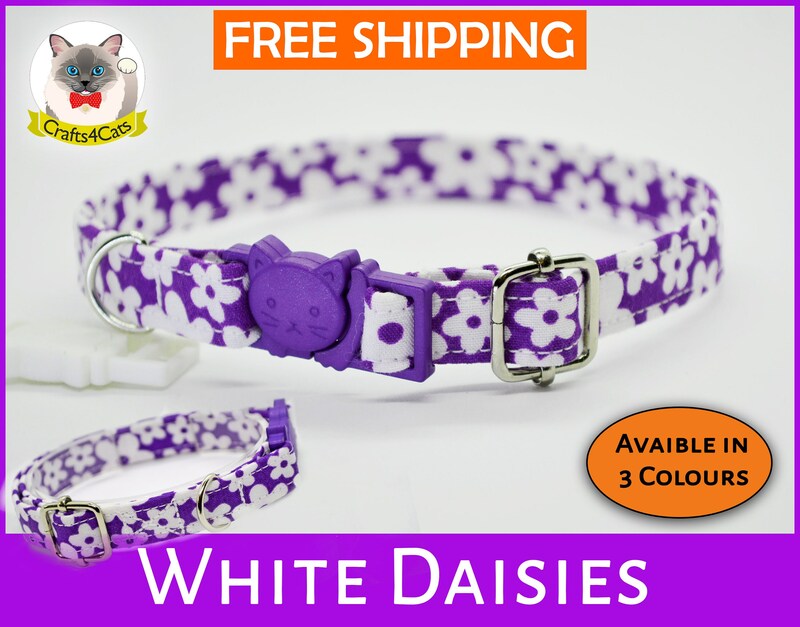 White Daisies cat and kitten collars are designed from strong, yet lightweight and soft cotton fabric. Each collar is fitted with a D-ring to which a small bell can be attached. 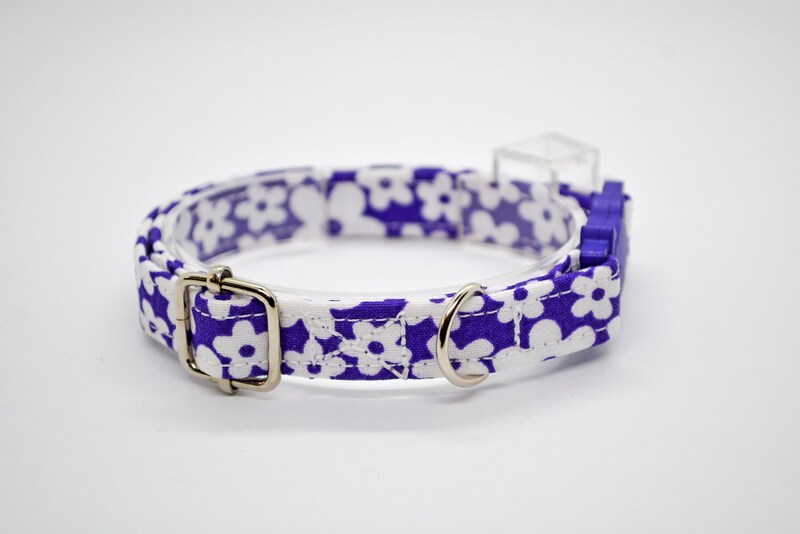 White daisies collars are available in blue, purple & pink. A collar with a breakaway/safety buckle. Metal hardware (collar length regulator and D-ring). This size should fit kittens from 4 months and should last till it's about 12 months old. 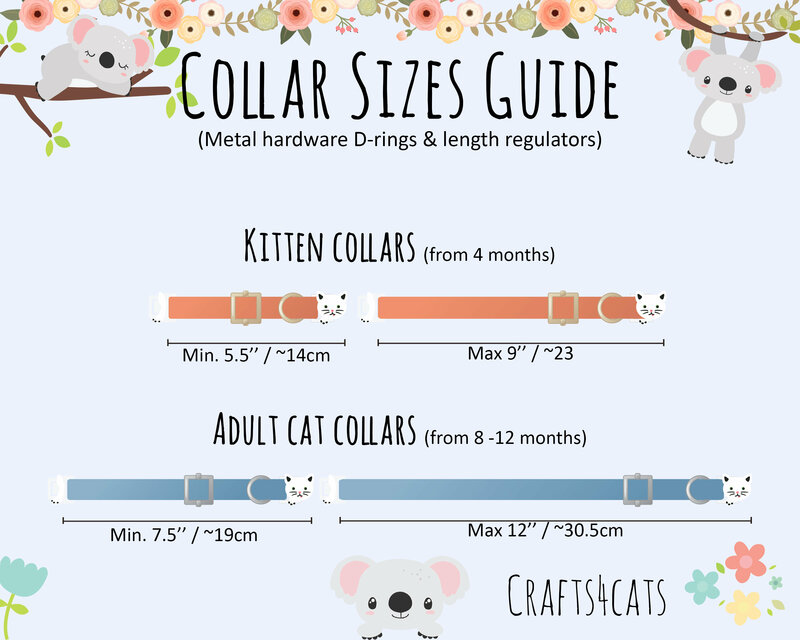 If your cat is a small breed, then most likely this collar will last you much longer over 16 months or more. If you have a tiny kitten and, therefore, would like a smaller size, please send me a message and I will make a size to fit until your kitty is 6 months old.